Ever have a running thought dialogue like this in your head? This was me last summer, right as I was beginning a new job and moving to a new place. Having so much to do and trying to keep track of everything in my head was stressful! I needed a way to organize all my thoughts and to-do lists, mainly for my own mental health! That’s when I went searching… There had to be a better way. I came across the concept of bullet journaling. 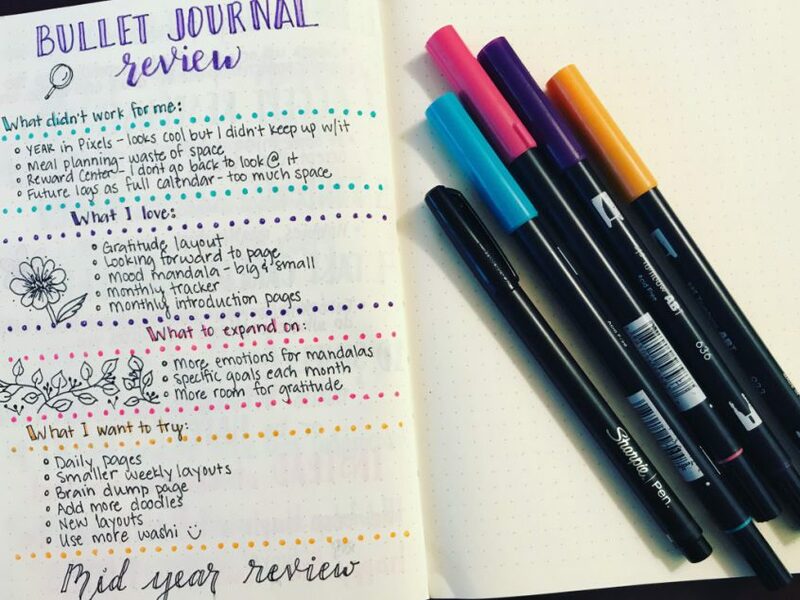 Bullet journaling (or BuJo for short) was created by Ryder Carroll, and his story and suggestions are on his website. Being the stationary, pen, and journal junkie I am, this immediately interested me. 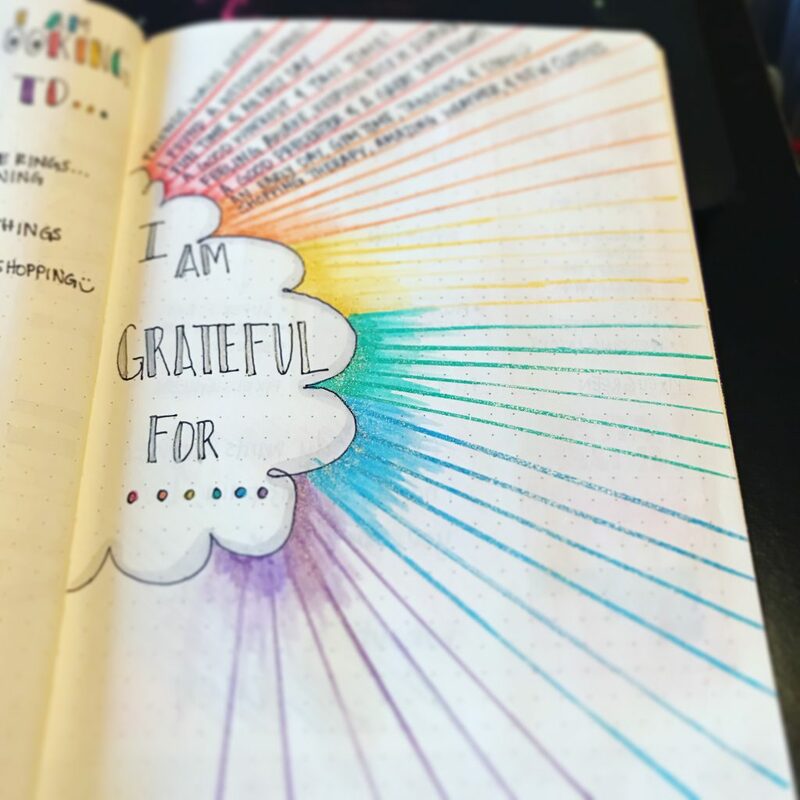 I continued my search and then ran across Kara Benz of Boho Berry, where I found that I could take the amazing bullet journaling system and add some color, doodles, and fun! This was great! I always loved to doodle, and here was a system promoting my creativity and love for stationary and pens. That’s when the stalking began… I started searching the term “bullet journal” on Pinterest, Instagram, and Facebook. In an endless number of pages, I found examples for inspiration. I started a list (using bullet points of course) of everything I thought I would want in my bullet journal. It included trackers, future logs, weekly layouts, daily logs, brain dumps, and gratitude logs. Now, to be honest, I didn’t get started right away. I was overwhelmed! There is SO much information and examples out there, and I was afraid to just start. I had so many questions/worries/concerns: “What if I did it wrong? ;” “What if I wrote in pen and messed up?! ;” and “What if it didn’t work – did I want to spend money on a certain journal to find that this system wasn’t for me?” So many questions were popping up that I was afraid to just take the leap and start. I was also in the middle of moving half way across the country and was facing a major change in my relationship with my significant other. What did I do? I waited. Then, I continued searching for inspiration and saving the ones I loved, but I wasn’t quite ready to commit. I got through my move and started my new job, and that was it–I was ready to start in order to help with my stress and own mental health. Also, side note: I was finishing up my doctorate in Clinical Psychology and helping those who were battling with anxiety, stress, depression, etc., and I am a huge believer in not asking my clients to do what I’m not willing to do myself, which was also the push behind wanting a way to track daily habits and gratitude. I purchased a Leuchtturm1917, some pens (not that I needed more of those), and some washi tape. I opened up to the first page, which I read was “supposed” to be the key, and I started doodling. The rest is well-recorded history. I will admit, it was a slow start because I wasn’t sure how to make it specific to my own needs, but that is one of the reasons I love this system: you can adjust and make it work for what you want and need. You don’t have to follow a strict guideline or layout–it’s up to you! So, I’ve compiled a list of 10 Reasons why I recommend bullet journaling. I hope my excitement for this system is coming through, but in case it isn’t, I’m going to explain some more. This system is SO much fun! I get to create beautiful, fun, and cute layouts every day, week, and/or month. It’s continually something fun because I get to create it. 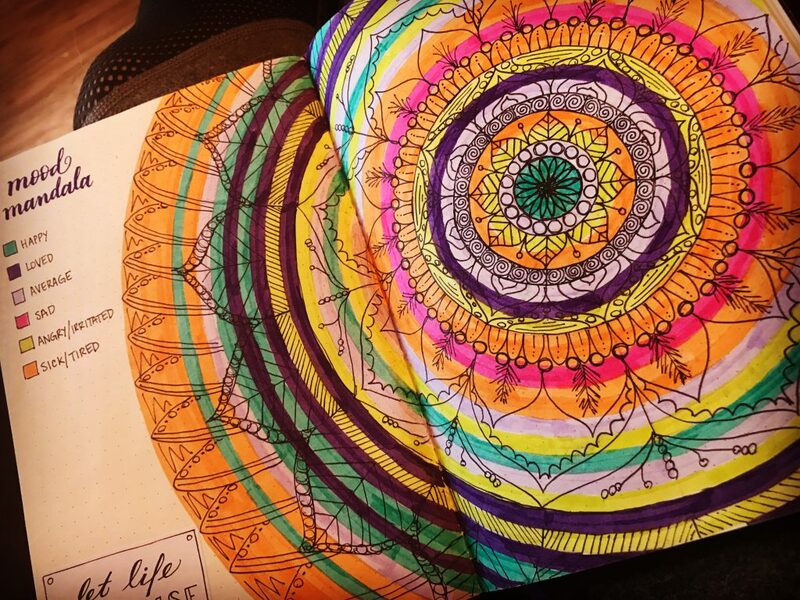 And I don’t know about you, but coloring is always fun for me. 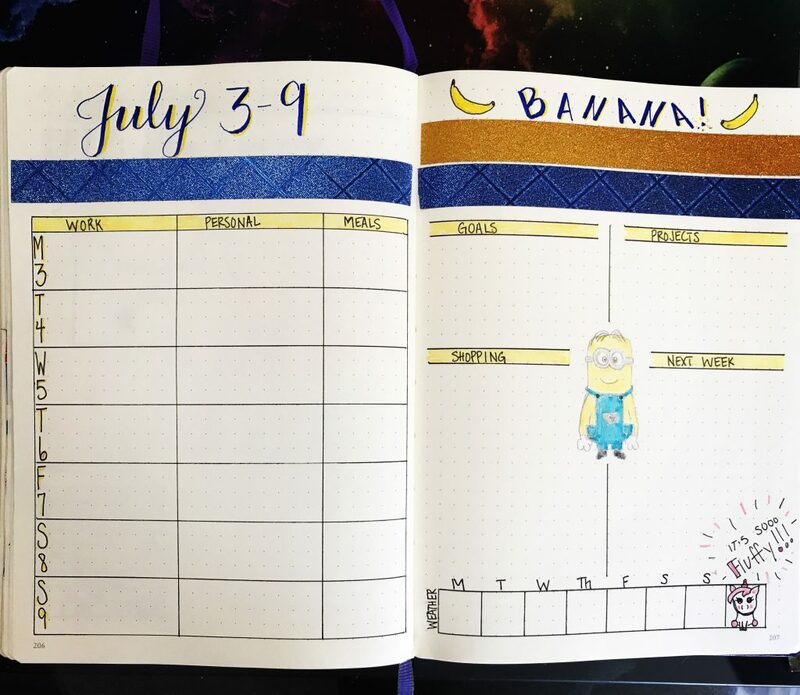 I created this layout in honor of Despicable Me 3 coming out that week! 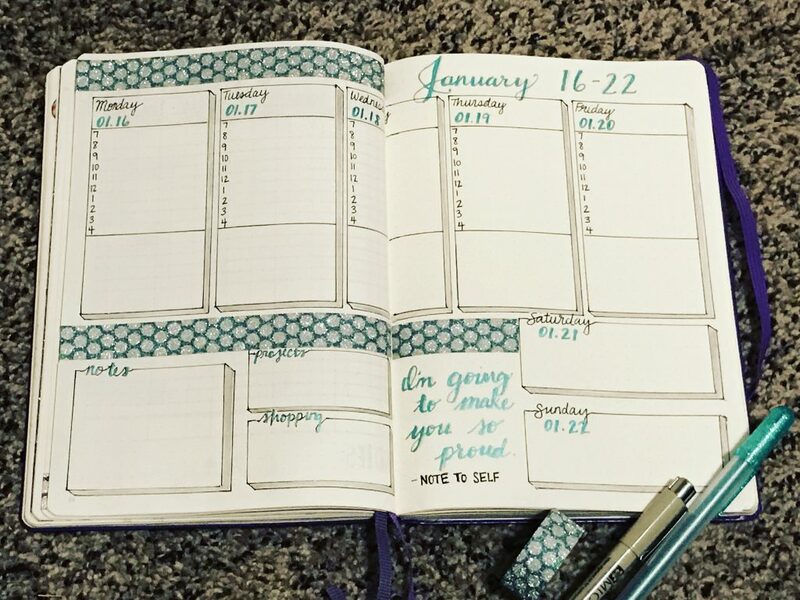 Similarly to bullet journaling being fun, it also promotes creativity. Depending on how use choose to use the system, you can figure out how to fit what you want on a page, what color scheme (or no color) to use, and how you will finish tasks during your busy day. You can also draw, doodle, use stickers, use washi tape, etc. The possibilities are endless! 3. It supports mental health. This bullet point is close to my heart as a psychologist. During the times in life when I’m stressed or down, I’m not as productive and find myself not wanting to do as much. That’s where bullet journaling comes in! Mine helps me stay positive and thankful, reminds me of what I can do to feel better, and allows me to see patterns in my mood. I’ve created layouts that have the sole purpose of reminding me to do yoga, stay present, and take time for myself. Even the best of us need reminders sometimes. 4. There’s no wrong way! I’ll admit that I’m a bit of a perfectionist; however, bullet journaling is helping me to let go of the need to have everything look perfect. Your bullet journal is just that: yours. You don’t have to share your pages, so if you mess up, no one has to know! Now, if you choose to share your pages you create, there are ways to hide your mistakes: washi tape, coloring over it, adding creative writing, or doodling. You can also highlight the mistake and laugh about it! I’ve done that before and it reminds me that I’m human and it’s okay to make mistakes. 5. It helps to organize thoughts. Like my chaotic opening paragraph, some people have a lot to do in one day and it can be difficult to keep track of everything. Write it down! It’s much easier to know what you have to do when you can remember it. There’s a commercial out right now that says people are 47% more likely to get something done when they write it down (don’t quote me on that…I’m not sure of the source), and I would agree! For me, I find joy and a sense of accomplishment when I can write things down and check them off when I’ve done them, which leads to my next point. 6. You’ll get things done! It’s much easier to get things done when you can remember what it is you want to do. Sometimes I have so much to do that it gets overwhelming. I end up not doing anything because I cannot keep things straight and end up feeling too stressed to focus on anything. To deal with this, I create a “brain dump” page and write down everything I need to get done. I then organize the list and put the most important things at the top. As I do a task, I cross it off and immediately feel a little better! I got something done–much better than nothing. 7. You can make it what you want. Like I said earlier, there is no wrong way to bullet journaling. You can make it as simple or as complex as you want it. 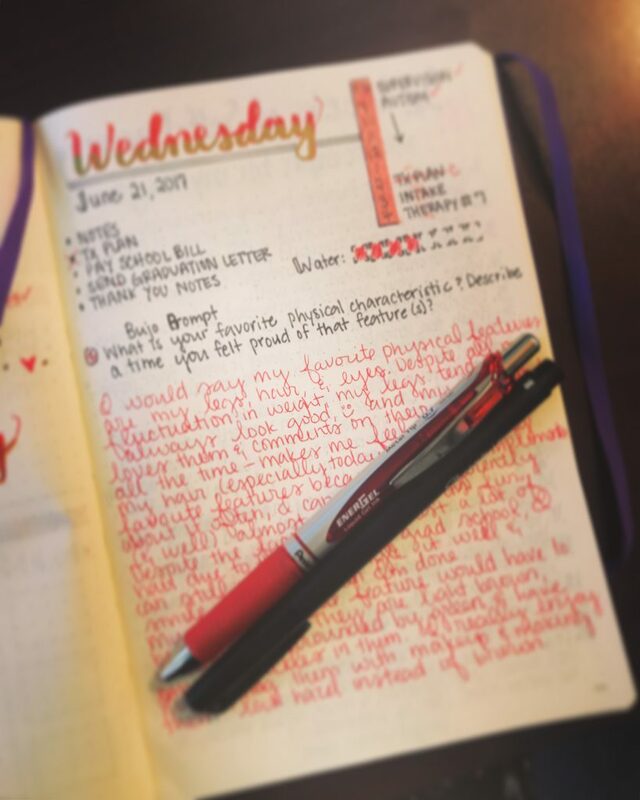 There are a ton of people that stick to the true minimalist bullet journaling style, and there is nothing wrong with that! I know me, and I know I love color and doodles and glitter, so my bullet journal tends to be more colorful. Actually, I tried to challenge myself this month and only use a black pen for all my layouts…but I couldn’t do it. I couldn’t stay away from my colorful pens, stickers, and washi tape. There’s nothing wrong with any way you choose to do yours. You can challenge yourself, you can go outside your comfort zone, or you can choose to stay 100% inside your comfort zone. It’s up to you. 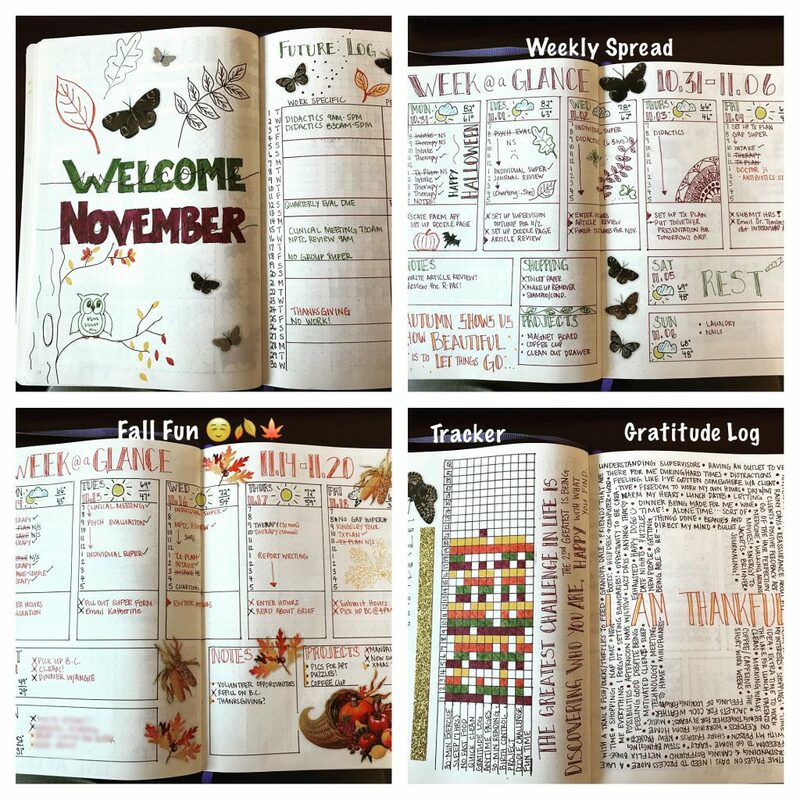 You can also choose what you want in your bullet journal; you can include habit trackers, do monthly challenges, have pages dedicated to being your personal diary/journal, or you can make it solely a to-do list. It’s up to you! 8. It’s a great tool for personal growth. I don’t know about you, but I don’t spend much time reflecting on my own beliefs, thoughts, desires, likes, dislikes, etc. – I think I may do too much of that for my clients. However, in my bullet journal, I occasionally reflect on what is working, what isn’t working, and randomly put in some prompts about personal growth. There are a ton of journal prompts online and through various bullet journaling websites that talk about ways to personally grow and reflect. Have an extra page? Throw in a prompt and write about whatever comes to mind! 9. There is a LARGE support system! It’s always nice to get support and validation for your work. Well, there is a HUGE bullet journaling community that is ready to comment, like, and use your layout for personal inspiration. I actually love this community and opened up an Instagram page solely dedicated to my bullet journal! I have so much fun sharing my creativity with the world, and I won’t lie, it’s nice to get positive feedback and to help motivate others! Being a part of an amazing and supportive community is fun, and it also provides an endless stream of motivation and inspiration. 10. You get to record your life! I’m a little old school, I guess, but I am not in the habit of taking pictures all the time every time I’m out and about. 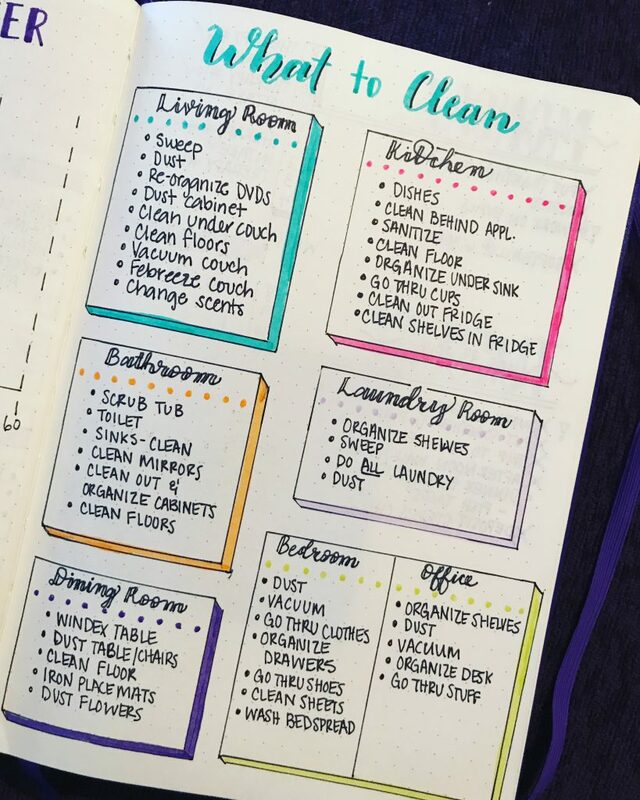 Bullet journaling allows me to track important things in my life, and I even doodle and add pictures about my life experiences, which turns my bullet journal into a kind of scrapbook. I can look back to it or even pass it down one day. How cool is that?! 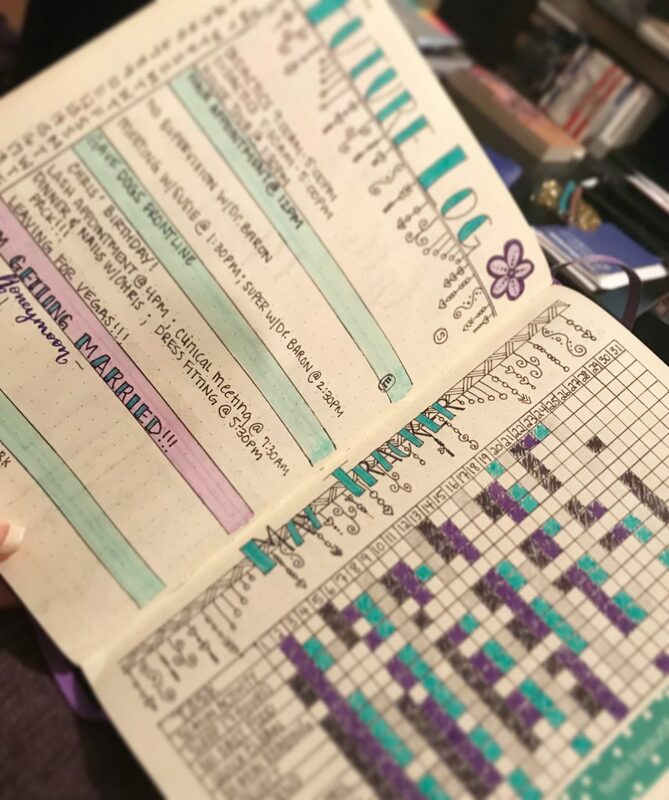 This week I will actually completely fill my first bullet journal, and it’s so much fun to look back and see what I did, the cool designs I came up with, and what definitely didn’t work for me. It’s also fun to show to others. My mom asked me: “You’re keeping this, right?” Of course! I put so much work into it and it brings me joy! I highlighted the day I got married! Hello, my name is Jessie and I started my bullet journal journey in the summer of 2016. It's been one fun, creative, challenging, and productive journey! I share my bullet journal experiences here, so I hope you enjoy! I love what you’ve shared! It’s beautiful and making such a great keepsake for you! This was a wonderful article and I completely agreed with every reason. You absolutely captured my feelings. Great job! This is a great description of bullet journaling and what all the benefits of it are.